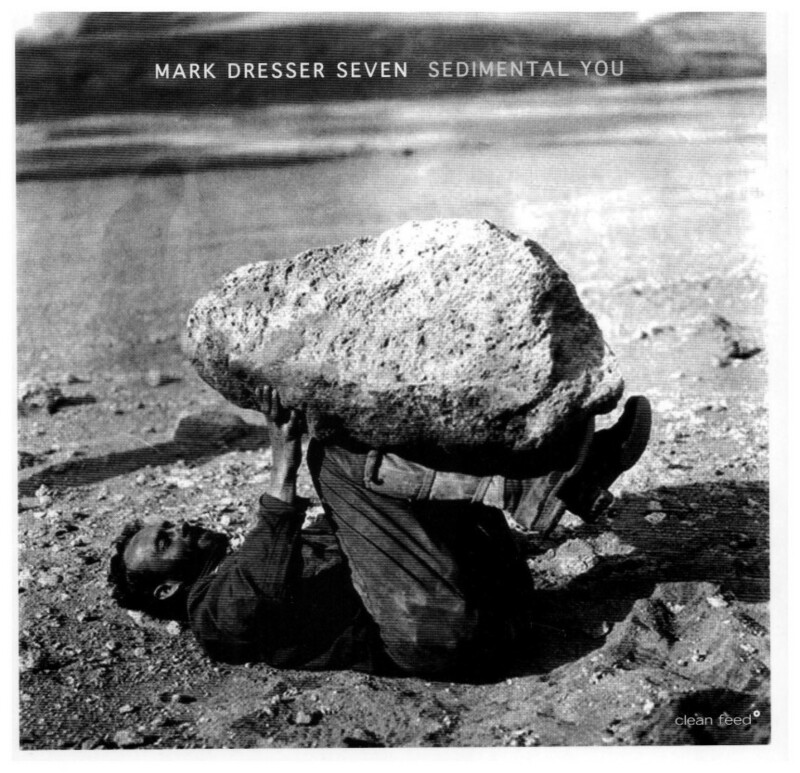 Sedimental You is a collection of seven works for seven handpicked musicians: Michael Dessen, Nicole Mitchell, Joshua White, Marty Ehrlich, David Morales Boroff and Jim Black. I am grateful to their generous musicality and invention. The CD title is not a misspelling of “sentimental,” but rather plays with the idea of ‘layering’ musical qualities. This collection of compositions seeks to balance gradient levels of sound such as bitonal harmony, microtonality, timbre, spectral harmonics and variable pulse with more traditional aspects of melody, harmony, counterpoint, rhythm and form. The orchestration of violin, flute(s), clarinet(s), trombone, piano, drums and bass brings together instrumental colors that I’ve been exploring in smaller groups throughout my recorded career. Hobby Lobby Horse is a musical response to the ‘religulous’ (thanks, Bill Maher) Oklahoma-based, gigantic chain crafts store Hobby Lobby. The composition plays with a purposefully idiosyncratic groove of accumulating phrases of 13 and 15 with a contrasting and accumulating melody. As a vehicle for improvisation, the instrumental solos navigate a metric form with surprise interruptions prior to the final theme and coda. Sedimental You abstracts the 1930’s standard, I’m Getting Sentimental Over You popularized by Tommy Dorsey. I’ve set a new melody over a metric modulating form in which each bar is of a different length, combining rigor, freedom, and timbre invention. It is an improvisational feature for Joshua White, Michael Dessen, Jim Black and myself. Michael Dessen’s trombone solo opens TrumpinPutinStoopin as a prelude to the contrapuntal theme. The melody has an animated quality, a “pas il Duce’ rather than “pas de deux” based on its cartoonish namesakes. The improvising form features piano, bass and drums which transitions into an open section for violin, flute, clarinet, and bass, following a transformed theme with mini cadenzas before coming to its raucous conclusion. Will Well is dedicated to my dear friend, the great trombonist, Roswell Rudd with whom I’ve had the pleasure of performing and recording (“Airwalkers” – 2006 Clean Feed). I composed this with him in mind while he was courageously overcoming an illness. The orchestral introduction is a prelude to a piano and bass duet before settling into an ensemble chant in 9. It features solos by Nicole Mitchell, Marty Ehrlich, and David Morales Boroff. I Can Smell You Listening The day after 9/11, I played music together with the late singer, Alexandra Montano (1961-2007) with whom I had recorded Time Changes (Cryptogramophone- 2005) and vibraphonist Matt Moran. I remember it as a nearly impossible attempt to seek normalcy while processing shock and grief in the aftermath of the attack. Alexandra was fond of wearing Patchouli oil. She was an incredible musician, a person of great warmth and good humor. After a stunning improvisation, I jokingly said to her, “I Can Smell You Listening.” This piece is dedicated to her memory. Newtown Char was inspired by the mass-shooting tragedies in Newtown, Connecticut in 2012 and Charleston, South Carolina in 2015. I wanted to compose a musical response to these events in the tradition of John Coltrane’s “Alabama,” a multi-dimensional piece of music. Marty Ehrlich’s unaccompanied bass clarinet sermon sets the tone for the composition, which also features solos by everyone.